CSAS-DOCMAN is a complete Document Management package. It operates as a standalone management system and is completely integrated with all CSAS applications. Imagine being able to scan a Drivers License and attaching it to an employee record or to a utility billing customer record. CSAS-DOCMAN allows you to do this and much more. 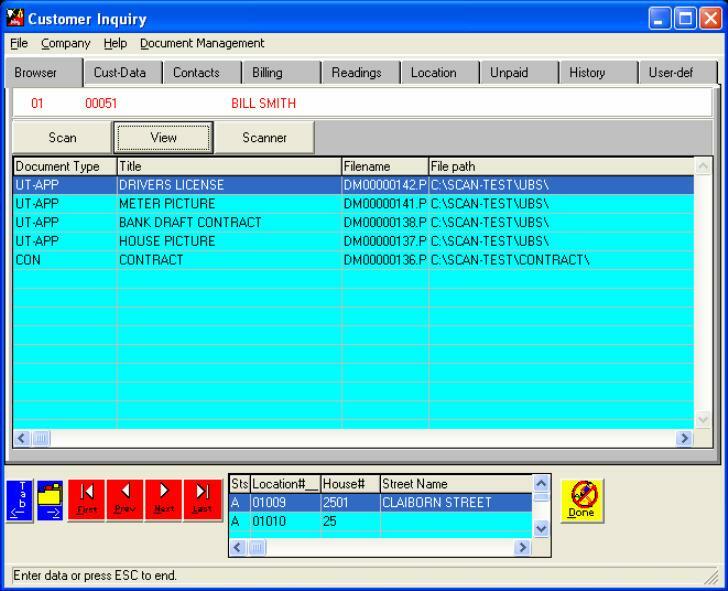 Documents that are scanned using a scanner as well as digital camera pictures, word documents, spreadsheets, and even reports printed from your CSAS applications can be stored in CSAS-DOCMAN. Using CSAS-DOCMAN, CSAS Reports can be reprinted regardless of when the original report was generated from your CSAS application. Document retrieval can be accomplished using data from your CSAS application (e.g. account #, vendor #, work order #, etc.) Or documents can be found by using a key word or phrase from the text of the document. 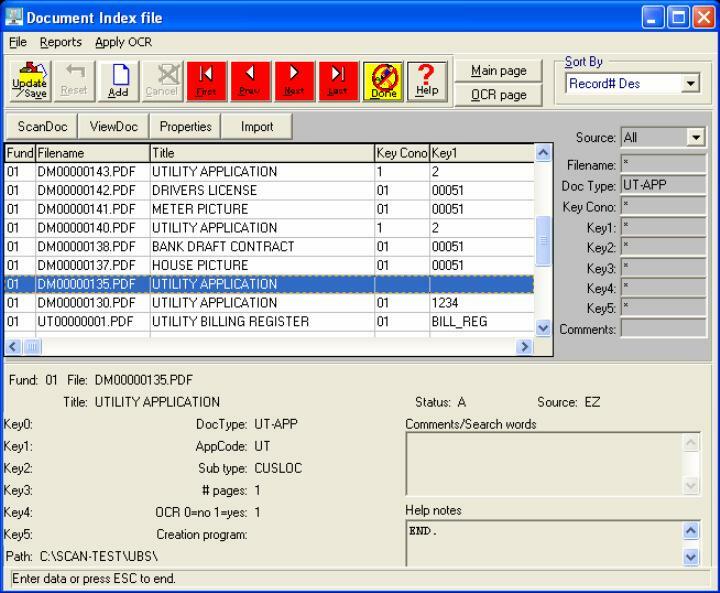 Scan in documents using a high speed scanner and index by presetup document types. be indexed in the Document database. Documents and reports can be OCR’ed which allows for a complete document word search.